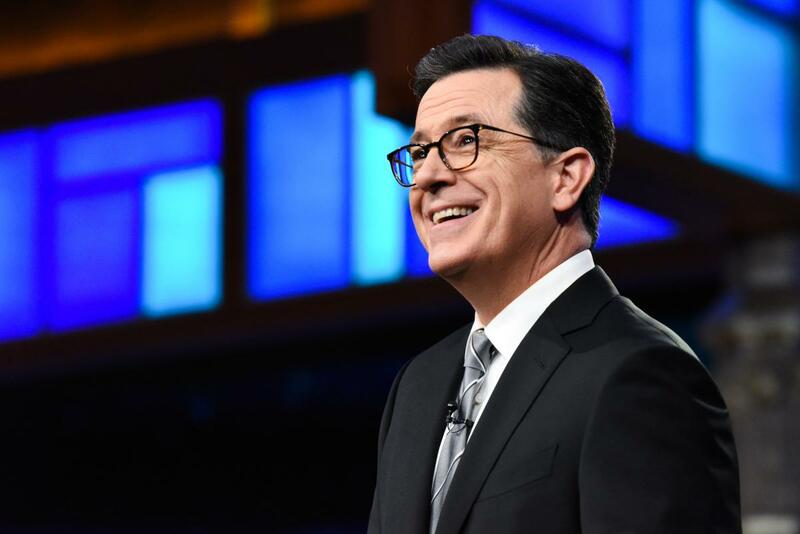 "Late Show" host Stephen Colbert got some laughs by claiming he has access to Supreme Court nominee Brett Kavanaugh's 1982 calendar. The New York Times reports that Kavanaugh planned to hand over his calendars from the summer of 1982 to the Senate Judiciary Committee in response to an accusation by Dr. Christine Blasey Ford, who says Kavanaugh sexually assaulted her during a party with other teenagers that summer. He denies the allegations, and Kavanaugh's team says his calendar shows that he did not list the party in his plans. Colbert said he can share the contents of Kavanaugh's calendar. On the "Late Show," he jokingly showed off a "Dukes of Hazzards" day planner from the month of August, which apparently includes lines like, "Hasselhoff rules!" and "Stayed home to solve Rubik's cube (sober)." Perhaps the most telling lines from Kavanaugh's supposed day planner are "Party last night was awwwwwsome! I heard. Didn't go" and "Rager at Mark's house. Some sick stuff went down ... one assumes. Was at home watching A-Team." Another notation supposedly said, "Remember to save calendar as future evidence." On #LSSC tonight: We've obtained a copy of Brett Kavanaugh's day planner from 1982, let's take a look. The Times reports it examined Kavanaugh's real calendar pages from June, July and August 1982, and said the pages show that he was out of town frequently at the beach or with his parents. He reportedly mentions a few parties, but does not name friends identified by Ford. On Sunday, another woman came forward to accuse Kavanaugh of sexual misconduct in college. The New Yorker reported that 53-year-old Deborah Ramirez says Kavanaugh exposed himself to her at a drunken party when they were both students at Yale University in the 1980s. Kavanaugh denies it.